TBT (April 24, 2015) - Construction was underway at the 8th Street Metromover station at Brickell City Centre 4 years ago in 2015. The station originally closed in August 2014 for one year. The completed station is now named Brickell City Centre Station and people can enter the mall at the stop. Since announcing that the 8th St. metro mover station would close for one year back in August 2014, construction is moving along. When the metromover station is complete, riders will have the option to continue along or get off at the station that will lead directly into Brickell City Centre. Swire is paying the cost for the renovations and working directly with Miami-Dade County Transit on the station. A video of the metromover along the Brickell Loop can be seen here. Brickell City Centre transformation photos from the 8th St. metromover station before closing can be seen here. TBT (April 9, 2015) - Four years ago Brickell City Centre was under construction with all three towers, Rise, Reach and the East Hotel all topped off at this point. 8 cranes were surrounding the building and would eventually be completed in the Fall of 2016. Brickell City Centre will be expanding just North of the current site with a 54 story tower and a 62 story tower. Construction is expected to start in 2020. 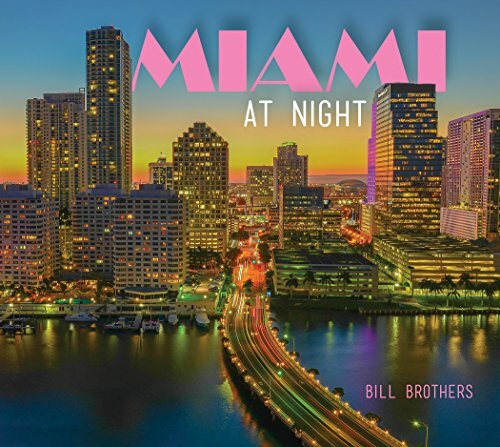 In September 2014, we previewed our first set of Brickell City Centre Day & Night photos and since our last overall update in January the project can be visible for miles in all directions around the city. All three towers have topped out and most of the windows have been installed with work being done to add the balcony enclosures. The project is still on pace to be completed by the end of 2015. For progression photos of Brickell City Centre click here. TBT (February 17, 2015) - The photos below show the progression of Brickell City Centre and the Brickell area starting in 2012 until 2015. Brickell City Centre was eventually completed by the end of 2016, changing the Brickell skyline. Over the course of three years, the landscape of Brickell has changed dramatically with the rise of Brickell City Centre by Swire Properties. On what was once mostly vacant land now sits three tall towers over three city blocks - with more growth on the way. 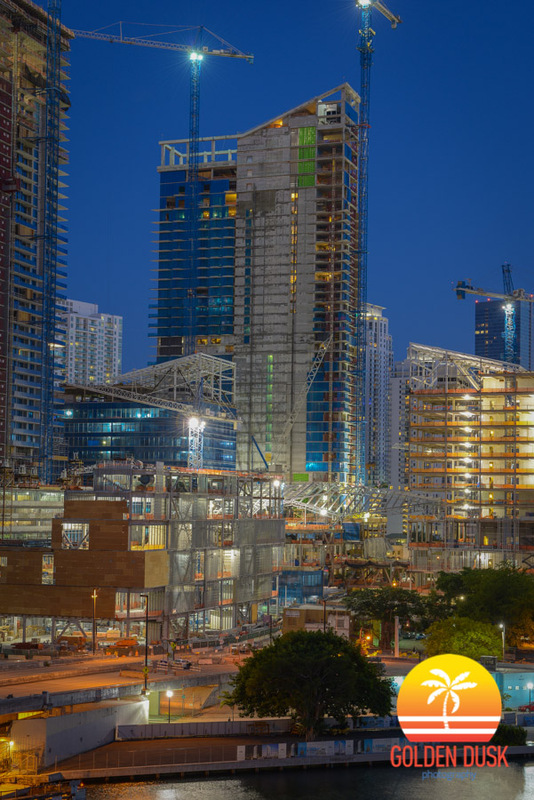 In the photos below, you can get a glimpse of the construction of Brickell City Centre from a Southwest view with RISE and REACH Brickell City Centre seen very prominently. Photos of Brickell City Centre progression from South Miami Ave. can be seen here. 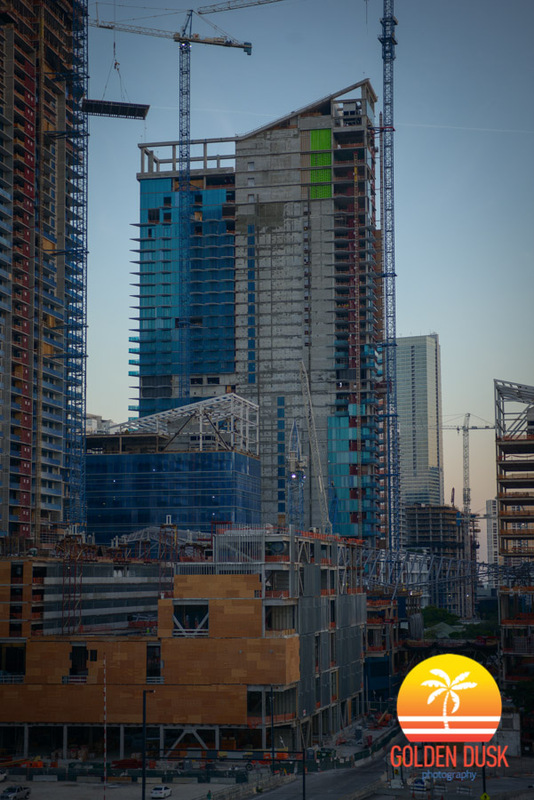 Photos of Brickell City Centre progression from the 8th. St. Metromover can be seen here. 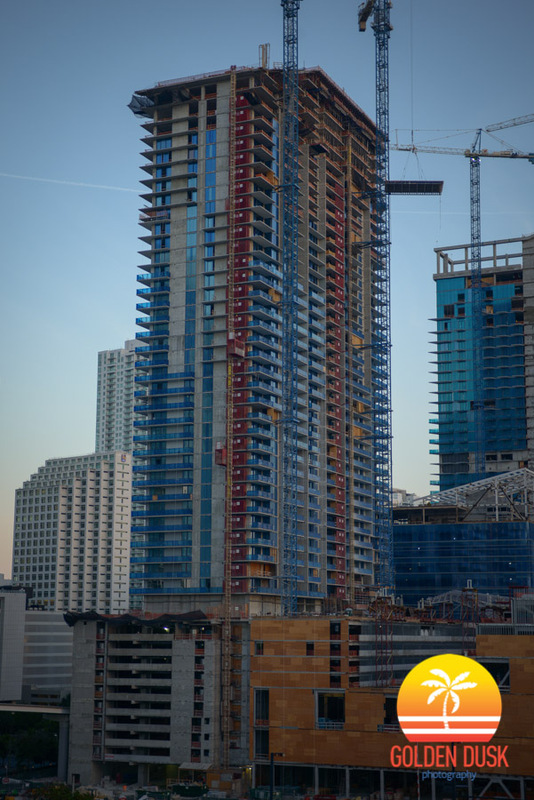 TBT (January 30, 2015) - 4 years ago Rise Brickell City Centre topped off after the East Hotel and Reach Brickell City Centre would eventually top off in March 2015. Brickell City Centre would eventually be completed by November 2016. Photos of Brickell City Centre since the start of construction can be viewed here. 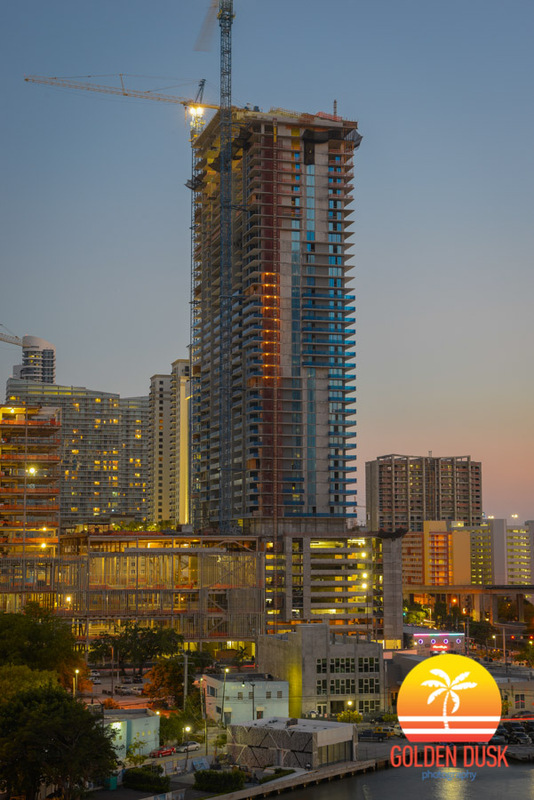 Since The East Hotel topped off in December, Rise Brickell City Centre is the second of the three towers to top off. The 390 unit residential condo will have units that vary from 980 square feet to 3,200 square feet. The balconies and windows are being installed on the lower portion of the condo. Reach Brickell City Centre will be next condo to top off and that should happen by the end of February. More photos of Brickell City Centre can be seen here. TBT - Progression Of Brickell City Centre From South Miami Ave.
TBT (November 14, 2014) - The landscape along South Miami Avenue has changed drastically prior to 2014 when Brickell City Centre was just empty, vacant land. 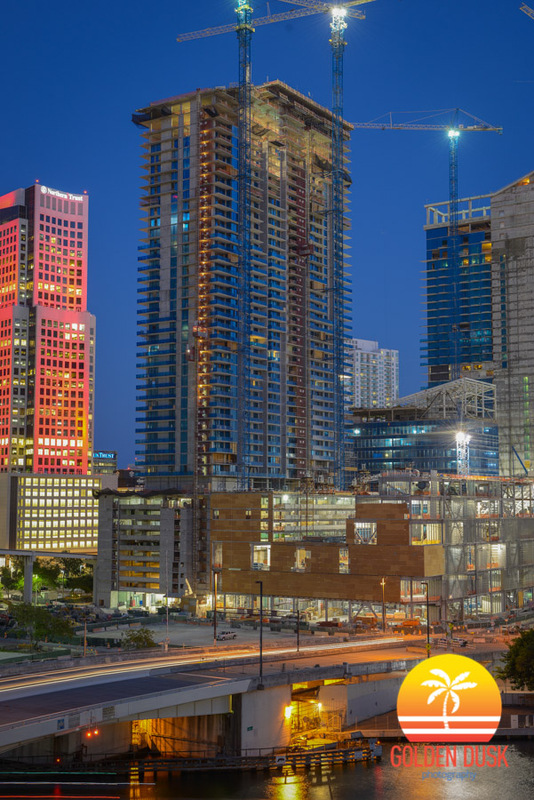 The photos below show the progression of Brickell City Centre, including the East Hotel before it was eventually completed in 2016. Swire Properties' Brickell City Centre is a massive construction project in the heart of Brickell. It's hard to get a sense of how big the project is until you stand on South Miami Ave. and see the construction on three full city blocks. On what was once empty lots, are now large skyscrapers changing the Miami skyline. Below are photos of Brickell City Centre facing East on South Miami Ave where construction on Hotel East, Reach Brickell City Centre, North Squared Condo, offices, wellness center and retail are being built. In the other direction facing West (not in the photos) is construction on Rise Brickell City Centre, offices and retail. Brickell City Centre's growth can also be seen from the 8th St. Metromover Station before its closing. Swire Properties and Colombian based Isanic Trading are going to be developing a 72,000 square foot lot located at 650 South Miami Avenue in Brickell across that street from Brickell City Centre, according to The Real Deal. The site is on the location of Tobacco Road, which was demolished in November 2014 and was the oldest bar in Miami. A house that was built in 1920 was also on the site and demolished in March 2015. Also on the site is an empty parking lot and the restaurants River Oyster Bar and Bonding. Isanic Trading is owned by Colombian developer Carlos Mattos who purchased sites across the street at 19 and 42 SW 6th Street, which were the site of the former Associated Photos buildings, for $9 million in August 2015. Mattos also purchased a site in Downtown Miami with Ytech International for $21 million in January 2015 and owns a 110,082 square foot lot next to the Miami River, which was purchased for $28 million in 2012.